SHWE, Kyin - Edmonton's Burial & Cremation Professionals | Trinity Funeral Home Ltd.
On Sunday, October 23, 2016 our husband, father and grandfather, Shwe Kyin, went home to be with his Lord and Saviour at the age of 67. He is now at peace in the arms of God after a short battle with cancer. 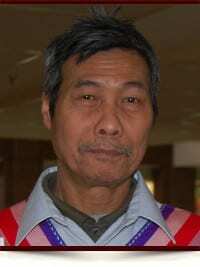 He will be forever missed and always remembered by his family: Lue Kyi, his wife of 35 years, eight children & six grandchildren: Shi Kree & Mu Lar and sons Eai Ter Der and Hazar Larmay, Hser Hser & Nay Soe and sons Ronson and John Marshall, Ber Nah Htoo & Pay Pay, Spee Htoo & Dah Doh and daughter Azalea, Dah Bleh Htoo & Paw K’Myee, Eh Paw & Hsoe Gay Doh and son Harrison, Hser Hteet, Eh K’ry. A Celebration of Shwe Kyin’s life will be held on Monday, October 31, 2016 at 2:00pm in Maranatha Christian Reformed Church, 11905-47 Street, Edmonton with Pastor Peter Vanderbeek and Pastor Saw Toh officiating. There will be a viewing beginning at 1:00pm prior to the service. Shwe Kyin will be laid to rest at Little Mountain Cemetery – 16025-54 Street after the service.